A gel that magically transforms into the most dramatic volumizing mousse for high-fashion fullness, over sized volume and lasting hold. 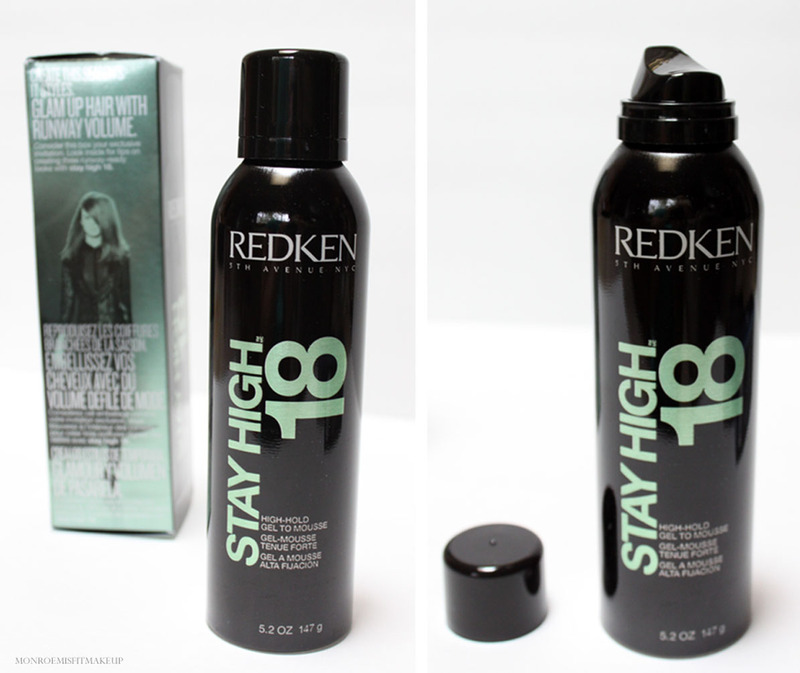 “With Stay High 18, you get the hold of a gel and the airiness of a mousse. Whether you want a little bit of root lift or a full head of volume, this is your go-to product,” says Guido. Stay High starts out as a high-hold gel that transforms into a rich mousse as you work it in your hands. Apply to damp hair focusing on the roots. 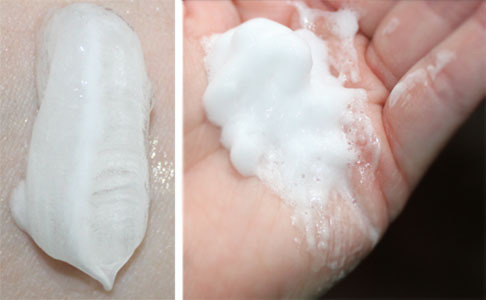 A pea size of product magically turns in to a mousse level amount. Having fine hair I'm always struggling to get ANY volume at the roots. A lot of volumizers can leave your hair feeling heavy with product. This Mousse doesn't leave your hair feeling sticky or weighed down. Stay high amps up the roots while adding thickness and full body to the rest of your hair. Giving even the most lackluster hair mega pompadour level volume. 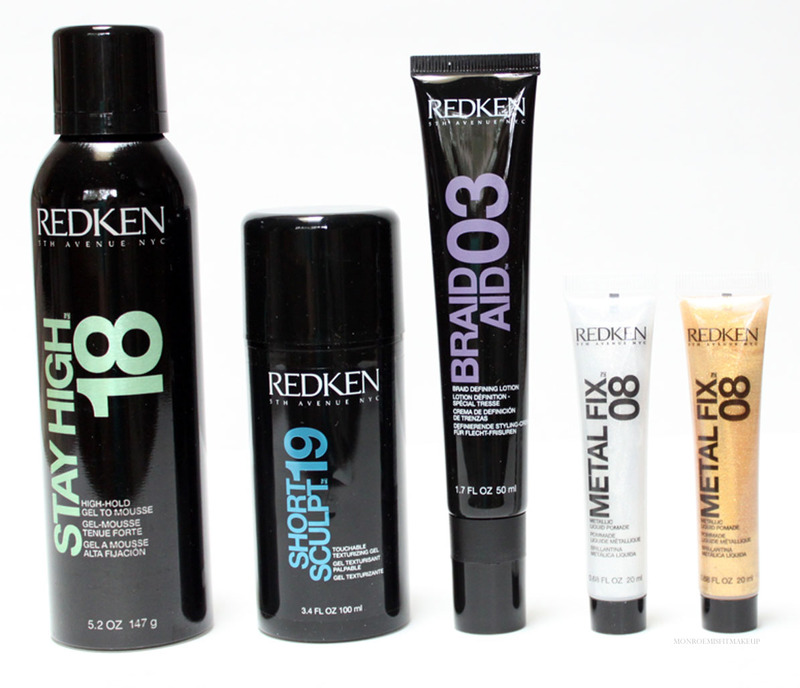 I love Redken's Guts for lift, but Stay High is great for adding an all over fullness to the hair. A touchable texturizing formula gives high-hold gel a fashion twist with a sleek or textured finish. “With short cuts, you need to create a personality, whether it’s romantic or rock ‘n’ roll. 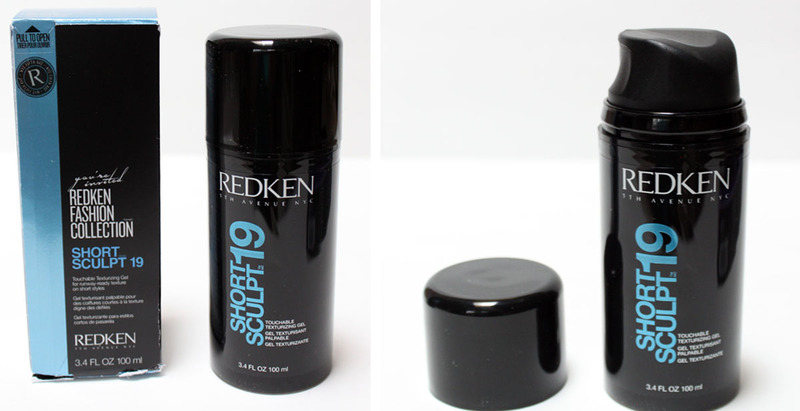 Short Sculpt 19 touchable texturizing gel gives you hold and sheen, and enhances short hair with life and dimension,” says Guido. Even though this texturizing gel is meant for giving short cuts definition, it works on long hair too. Adding a piecey, messy rock & roll vibe. The gel is lightweight, not "goopy", and doesn't leave your hair feeling sticky. The look...perfectly imperfect. My hair tends to get wispy and frizzy at the ends, this binds those little flyaways together. A superior product for creating undone texturized styles or sleek pulled back looks. The ultimate braiding product that defines braids and twists, adds grip for easy braiding and helps braids last longer. “Braids are a runway staple, but so often they slip or don’t hold well. 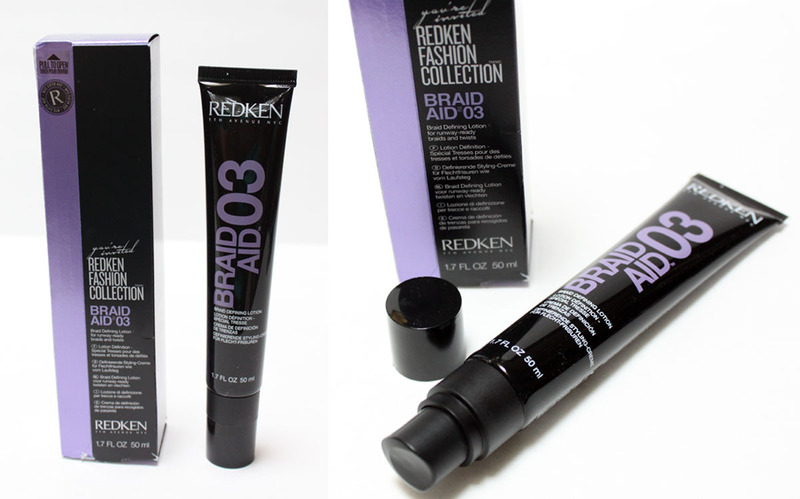 Braid Aid 03 fixes that and allows you to achieve any type of braid or twist,” says Guido. Braid Aid is the hair band-aid for fine silky hair that slips out of any style you try to create. Apply it after your hair has dried from mid-shaft down to help hold your braid. My hair never stays in place and this really helped in keeping my braid secure. Braid Aid is a very light styling lotion, you can even use it as a finishing lotion. It almost seems to transform your hair in to a coarser texture which is ideal for braids. I added in an extension piece for length which can have a lot of slip, but my hair binded without slipping out. There is a sweet musky scent to it, a fragrant pick me up for 2nd day braids or Coachella hair. Of the Fashion Collection this is my favorite product. Braids sre so hot right now and this is the styling fix if you have difficult hair or just want a long lasting style. For runway-ready silver and gold effects, this pomade is ideal for sleek styles and achieves a high-fashion metallic shimmer. “When I’m working backstage, I think of hair as a material that can be reinvented. 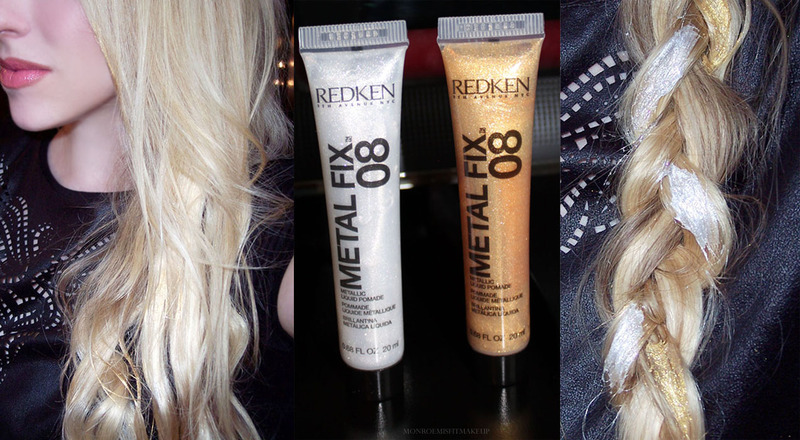 With Metal Fix 08, I can add a flash of gold or silver for a fashion-forward feeling,” says Guido. On the runways bold metallic slashes were painted on to models hair in a slick back style or at the roots. But can it transfer over in to our daily life hairstyles? 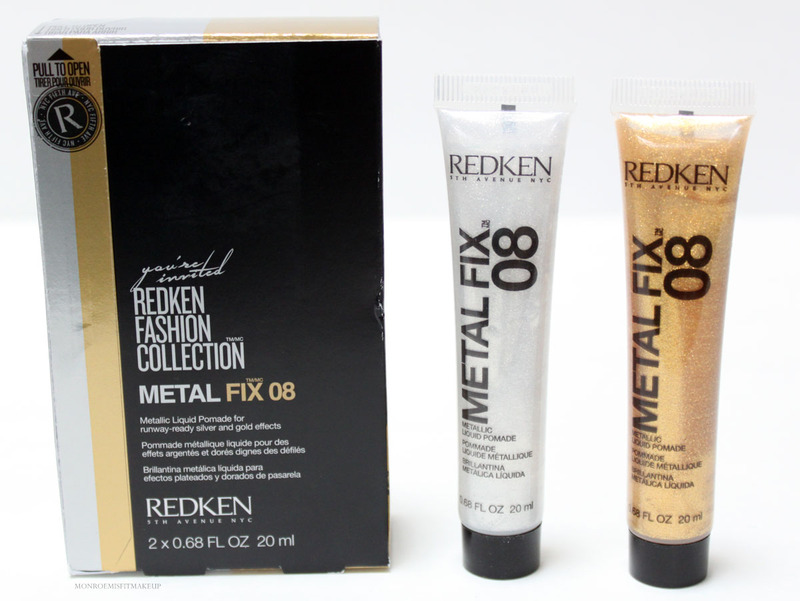 Redken says yes with this metallic liquid pomade in gold and silver that will add fashion glamour to your locks. On blondes the color is subtle with sparkle. Brunettes can get really dramatic with both Metal Fix shades because of the contrast of light metallic against the darkness of the hair. The pomade itself isn't sticky or heavy when applied sparingly so you can weave it through the hair for a shimmering effect like I've done with it. For a high fashion look, lay it on thick like molten silver and gold. Metal Fix adds dimension and a beautiful flash especially in the sunlight, kind of like a flash tattoo for hair. Hair chalk out, metallic pomade in. 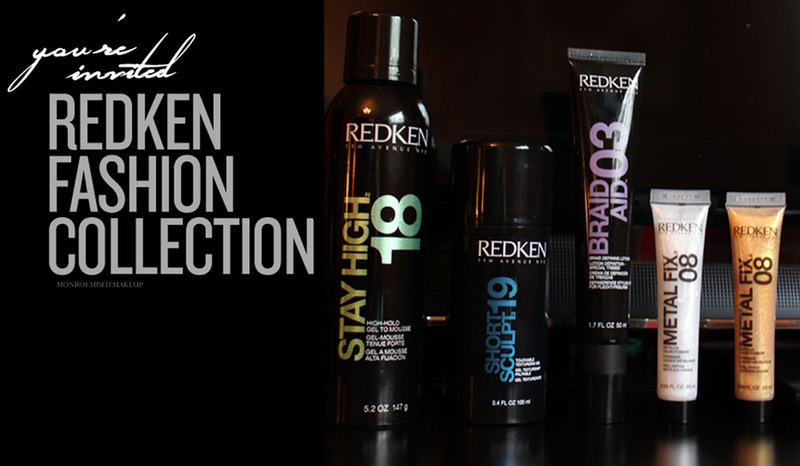 Redken's Fashion Collection makes creating your very own runway ready hairstyles easy. I loved the volume achieved with Stay High, the tousled texture from Short Sculpt, and Braid Aid is life for creating all those pretty braided hairstyles this Spring/Summer. 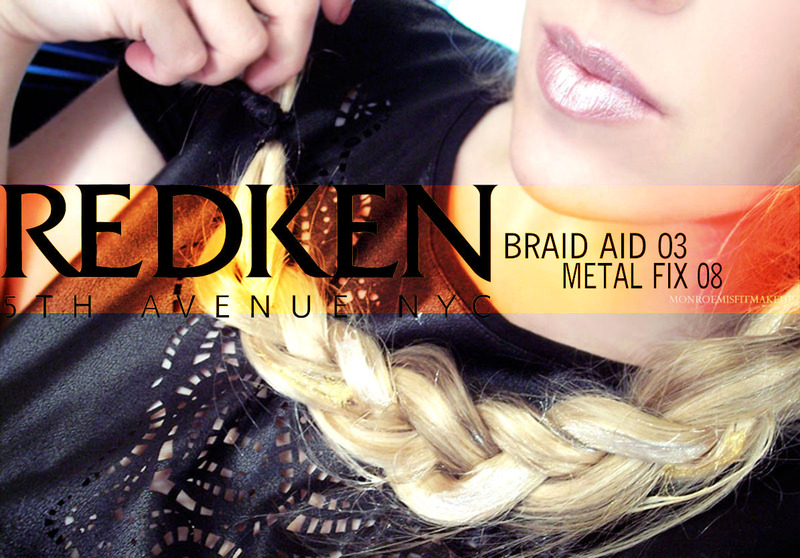 Metal Fix is going to be a must have for upcoming music festival hair styles! Check out all the styles Guido created using the Fashion Collection with tutorials HERE!